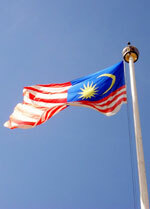 Welcome to Malaysia - brief information about travel in Malaysia. With its multi-ethnic population, it is not surprising that almost every month sees a different festival. Some of these are declared as Public Holidays. As festivals vary from year to year, it is best to check the dates with the nearest Tourism Malaysia Office before you plan your trip. There are five term breaks in the year for schools throughout Malaysia. The term breaks vary slightly from state to state. However, they fall roughly during the later part of the months of January (1 week), March (2 week), May (3 weeks), August (1 week), October (4 weeks). It is generally safe to drink water straight from the tap. Bottled mineral water, however, is easily available in shops and supermarkets. Electric supply is on a 240-volt 50-cycle system. English Language newspapers are available i.e. The New Straits Times, The Star, Business Times, Malay Mail, Daily Express, Sabah Daily News and Sarawak Tribune. International newspapers can be obtained at most bookshops and newsstands. Several dailies in other languages include Utusan Melayu, Berita Harian, Nanyang Siang Pan, Sin Chew Wit Poh and Tamil Nesan. There are also weeklies, such as the Leader and Straits Shipper. Radio services are in Bahasa Melayu, English, Chinese, and Tamil. There are more than 4 television stations with TV 1 and TV 2 being government networks while the other are privately run. With a temperature that fluctuates little throughout the year, travel in Malaysia is a pleasure. Average temperature is between 21 C and 32 C. Humidity is high. Rain tends to occur between November to February on the east coast of Peninsular Malaysia, on western Sarawak, and north-eastern Sabah. On the west coast of Peninsular Malaysia the rainy season is April to May and October to November. Click here for the current four-day weather forecast in Kuala Lumpur.